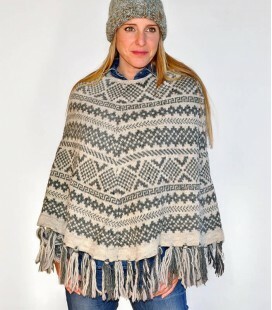 Scandinavian Ethnic Poncho in Wool, boho Winter festival clothing. 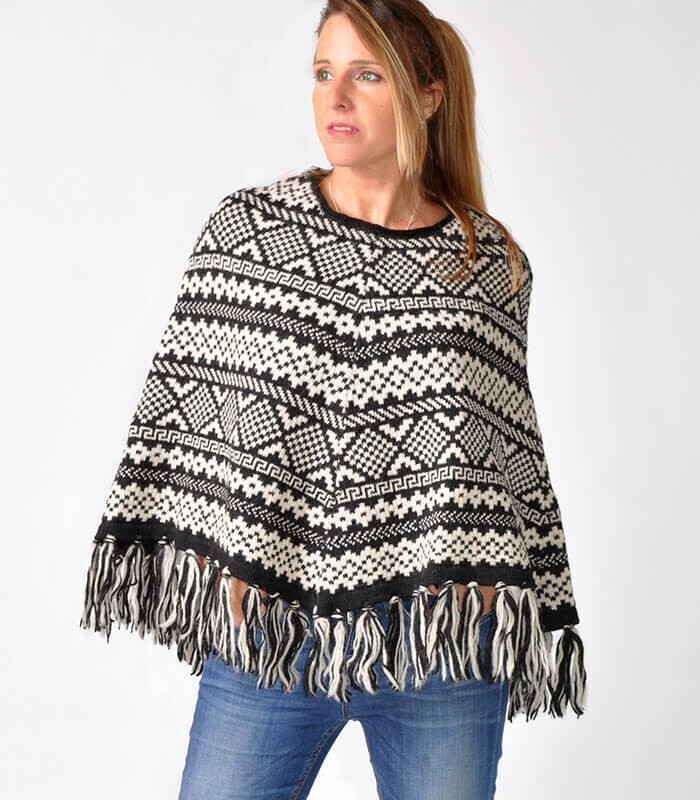 Scandinavian Poncho made of 100% Nepalese Yak Wool. 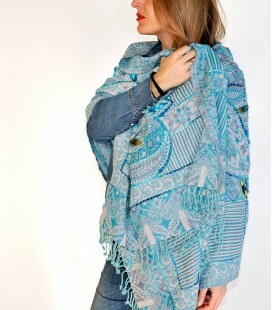 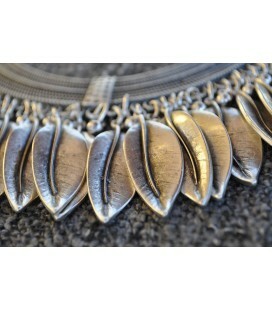 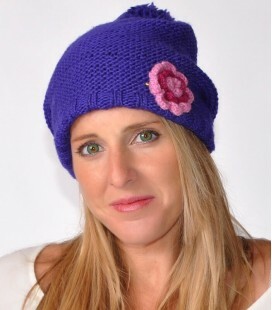 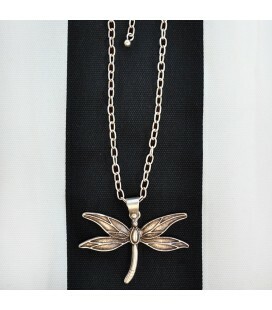 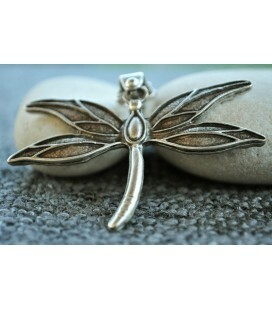 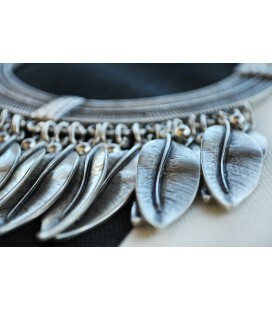 The natural wool is treated to give it a softer texture. 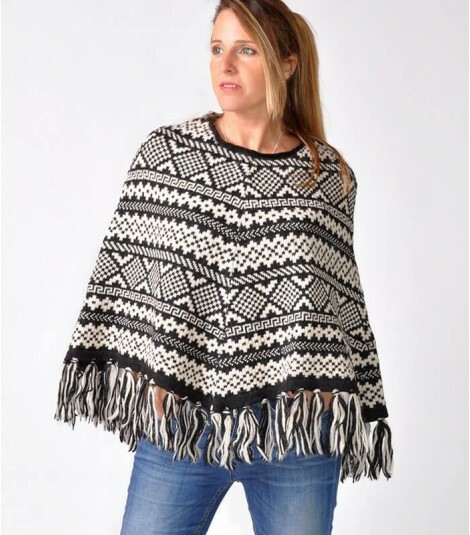 Typical triangular poncho cut with fringes. 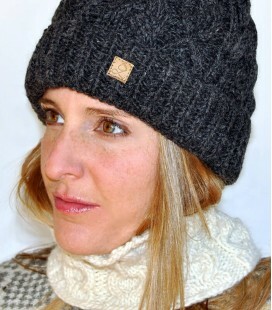 The neck is lined with fleece. 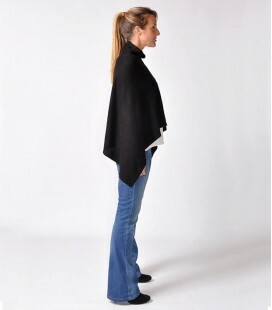 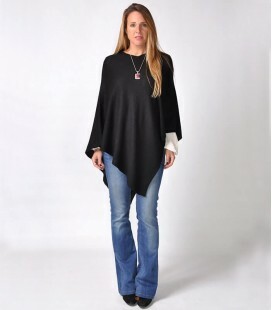 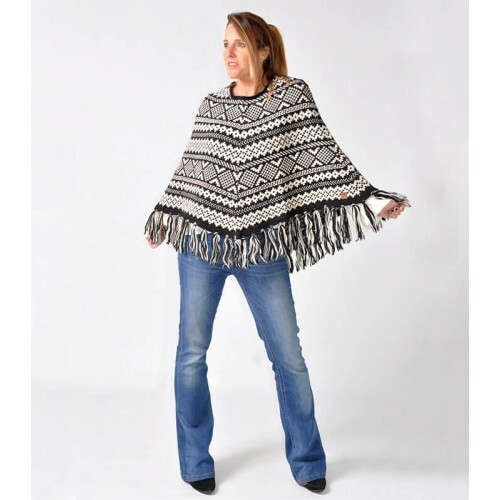 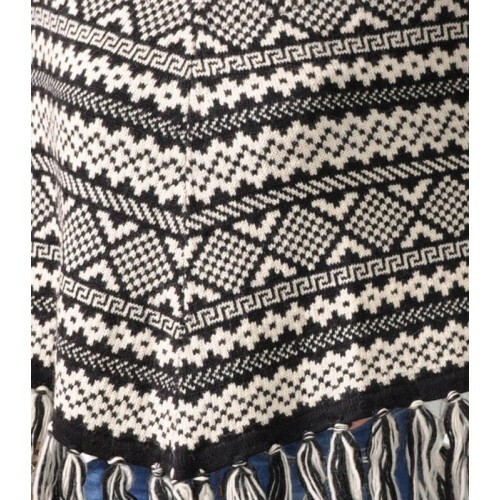 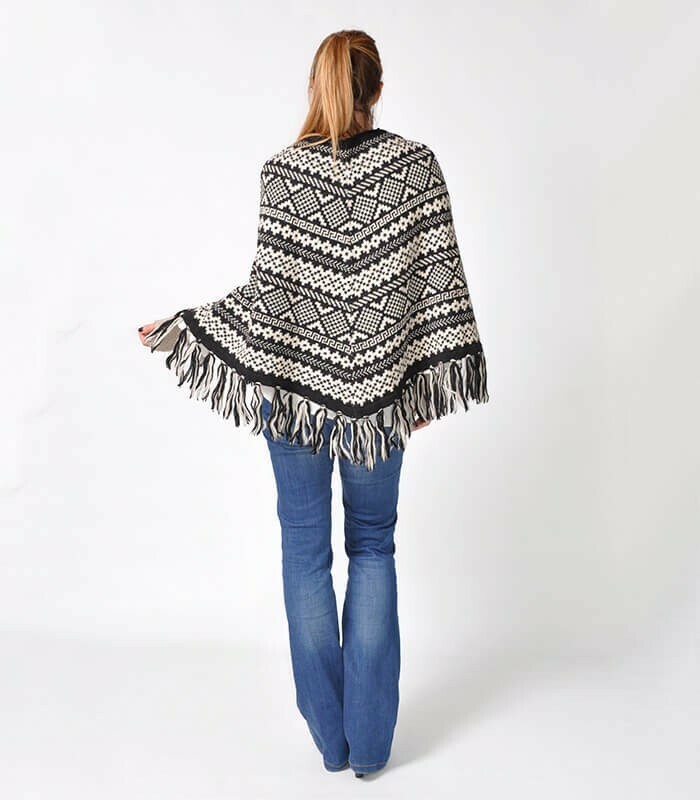 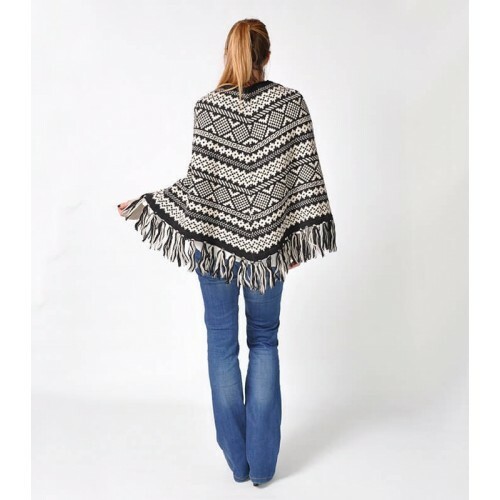 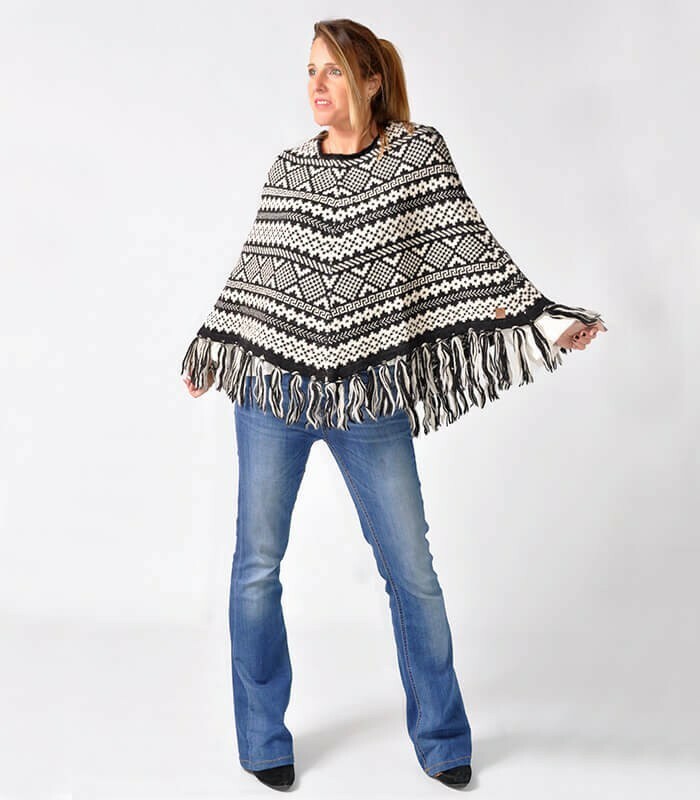 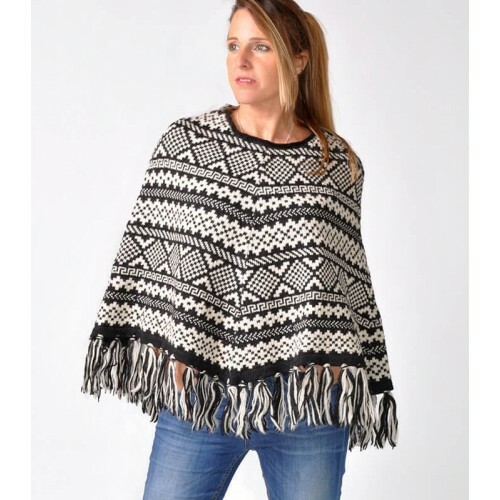 This Boho Poncho is hand knit in black color with beige to combine easily with everything. 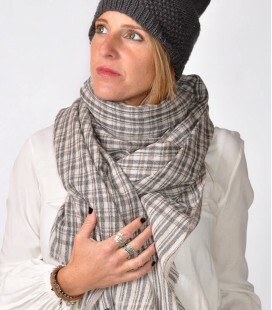 Don't be cold this winter and go for 100% wool. 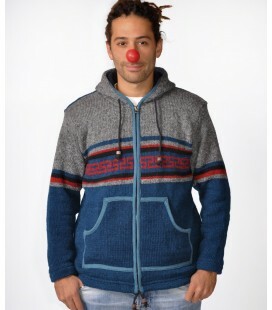 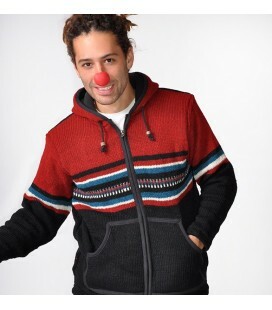 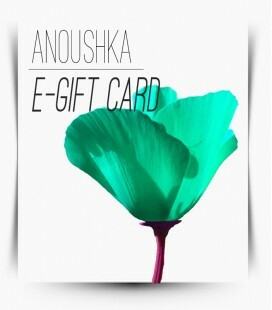 Made of 100% Nepalese yak wool. And don’t forget it is handknit without hurry by a Happy Human Being. 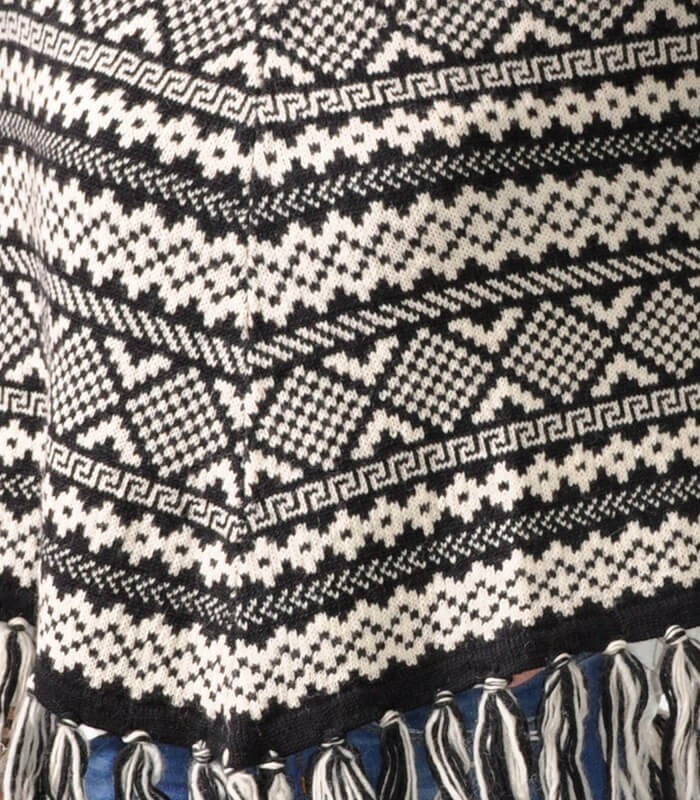 It’s always better to hand wash cold and seperate. 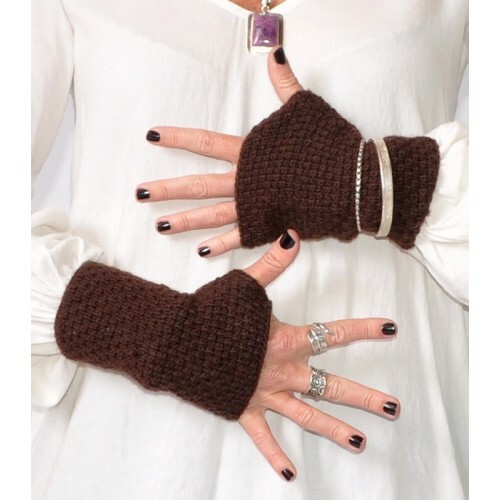 And even better if you use neutral soap, or special soap for wool.